I'm so pleased to announce that my very first dream class, Dreamwork for Survivors, is launching! 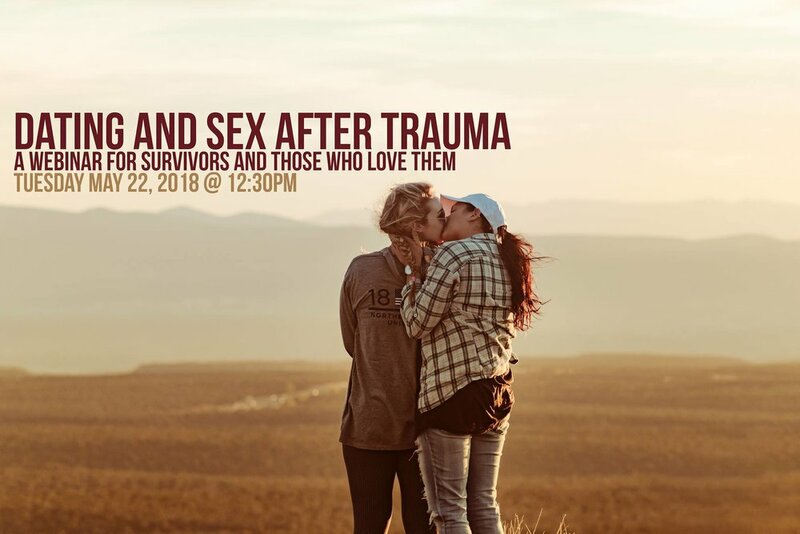 For my purposes here, a survivor is anyone coming through a powerful experience of loss, illness, or violation, and who carries awareness of this wound in understanding themself. Survivorship is a relationship with your wounds, an orientation toward healing, mapmaking in the dark. A survivor is a shapeshifter, learning her magic on the fly, dreaming up new ways to be in the world. Survivorship often entails having a troubled relationship with one's own body, feelings, dreams, and memory. Dreamwork teaches us to spend time with the modality of memory: to bring careful and loving attention to whatever fragments, images, sensory experiences, and internal knowings rise up into conscious awareness, and then to value them on their own terms, without forcing the pieces together or interpreting them to death. To instead turn the pieces over and over and see what starts to emerge, what the pieces want us to know, what patterns may develop. Dreamwork asks us to sit with the discomfort of what these pieces bring and let our deep feelings guide us toward our truths, rather than imposing truth from the top down, so to speak. This process inherently reconnects our thinking minds with our experiences of body, emotion, intuition and imagination. It leads us to a healthier place where all these parts of ourselves get to participate in deciding what’s true and what’s meaningful for us. At the base of survivorship are experiences of having one’s rightful power and control taken away. We all react in myriad different ways to such experiences, but we share the root experience of feeling out of control, disempowered. Claiming a practice that makes new roots in your power and your imagination - a practice that roots you in your ability to control how you come to your truth and what you do about it, is a revolutionary healing act. We may not be in charge of what happens in dreams, or what happened to us in our pasts, but we are in charge of how we relate to those experiences now. Dreamwork builds a sense of empowerment that feels collective and responsive, open and communicative, and diminishes the kind of power that gets stuck trying to control everything from on high - and that then feels angry or hopeless when that doesn’t (and can’t) work. I believe survivors, just going about the business of our own healing, have unique access to building the kind of open and constructive empowerment I’m talking about. Survivorship is ultimately about co-creating the space to remember, grieve, hold ourselves lovingly, and come into new kinds of relationships. Dreamwork naturally encourages, strengthens and supports all of these skills, and helps us experiences them in ways that show us we are not alone in this work. 1) Join the first-ever Dreamwork for Survivors circle! 2) Pick up the workbook - available super soon - and each copy sold will support someone's access to the circle at a sliding scale, so you're directly supporting a local survivor as you learn more about working with your own dreams! Amazing! I'll announce it here so keep an eye out! Kaeti is a therapist, teacher, and dreamer based in Long Beach, California. All of her work (and play!) is interested in dismantling intersections of oppression and breathing magic and radical healing into all the daily corners of her life, into all the spaces of community she helps weave. ———- There are photographs in this post that were borrowed lovingly from the internet and do not belong to us. All are linked and credited to the best of our abilities in hopes of attracting more traffic to the photographers and websites who have blessed us with this imagery. The inclusion of a photograph here should not be interpreted as an assertion of the subject’s or artist’s identity or beliefs. If there is a photo included here that belongs to you and you want it removed, please email compassionaterevolt@gmail.com and it will be removed promptly, no questions asked. Because there is more to you than your daily, outward self. There is more to all of us. Dreams are a bridge, connecting us to what else is going on inside - particularly things our waking selves have a hard time looking at, deep feelings, hidden stress, secret strengths, and important parts of our histories and futures. Especially in our dominant American culture, our daily waking self’s perspective tends to harden around us like an armored shell. Dreams crack that shell open and reveal how much more we are - and how much more we are capable of. Dreamwork is a practice of remembering and honoring that richness within each of us. Dreamwork brings our daily waking selves into deeper relationship with the rest of us, and with the infinite web of relationships that is Gaia and Her dreaming world. Dreams offer a chance to be in dialogue with what’s wild and Other about us. We are visited by powerful animals, beautiful strangers, familiar terrors and we sit with them, we host them, we listen to the messages they bring. We learn, and we change, and the dreams change along with us. Dreamwork grows an important skill that we can bring into waking life too - especially those of us who inhabit certain kinds of privilege: sitting and listening to what feels Other, containing the intense feelings that arise in us, and trusting that a perspective so different from our own is true and deeply valuable for us to hear. It’s as important to be able to do this within yourself as it is with your intimate and community partners, and as we go about the business of renewing our relationship with the more-than-human world. Dreams are also where we have great adventures and find the spark of inspiration - we travel to new places, and we drink deeply from where the underground currents bubble up in flowing springs. We receive important messages from the world that is so much bigger than us. I invite you to begin, or to deepen your practice of attending your dreams and working with them lovingly. Over time, with this practice, we come into a sense of ourselves as empowered, of our experiences as full of meaning, and of the world as alive and full of magic. I will be teaching a dreamwork course in the Spring that will be a deeper, 12-week exploration of this practice. Dreamwork for Survivors will weave this practice while bearing in mind the needs of survivors and the ways that this work can uniquely support healing and reconnecting to yourself and your world. Please check it out! Follow the link for more in-depth information and to sign up for updates as we get closer to March. There are so many ways to engage your dreams. If joining a dream circle isn’t calling you, I encourage you to begin in a smaller way. Even just the act of making a dream journal can be a powerful start of such a practice. I love that I get to live in this work, and that part of my work is helping others find access to their own version of it. And I look forward to sharing more of my work with you as we move toward the Spring and launch the Dreamwork for Survivors course. This blog was originally posted over at Califia Collective, with whom I'll be teaching the upcoming course. If you haven't checked out their amazing and inspiring blend of community healing, justice, herbalism, and queerdo magic, you're in for a treat! No, seriously, you missed out. The Califia Collective Holiday Market was AMAZING! There was of course the lovely Dream Workshop by our COM|PASSionate REVOLUTIONARY, Kaeti Gugiu, the highly anticipated Elixir Bar + Potion Lab, lots of lovingly made and magically imbued goodies and most importantly community gathering! Those who swung through were lovely, folks with lots of healing knowledge themselves, aromatherapy and plant medicine aficionados, those just entering wide eyed into the world of quirky holistic healers and medicine makers, serendipitous new connections and even some unexpectedly familiar faces! We were quite busy heading up to the event (and even almost missed it by a day due to confused chaotic holiday scheduling on our end) but we're so glad we did the hustle to get there! It was truly a testament to opening up to new connections, trusting and heading in with open hearts. Because... when you're open to new connections, trust and head in with open hearts sometimes you come out well dressed, smelling delicious, warmed up from the inside and also vaguely sparkly from a fortuitous trade with a radical midwife who's partner makes magical goodies like Unicorn Sparkle Balm! Yup. You missed out. In fact I hesitated too long and missed out on the Dragon Balm! Life lesson: If someone, ANYONE, offers you a magical gathering and sparkly things in jars labeled after mythical creatures there's no room for hesitation... I REPEAT, NO ROOM. Lucky for you, though, dear reader, the magick women nurturing the collective, Kirsten + Alexis, are continuing to busily create revolution in our local community with lots of new healing events! Stay posted! We know we will! Check out links after the fold for holiday healing treats, services and revolutionaries! Traci is a patron of the lost art of mythical creature balm making, queer family building, community dreaming and naturally sweet smelling arm pits. She writes and dreams for COM|PASSionate REVOLT, facilitates mind/body summits through yoga and offers herself as a humble witness of process through her therapy practice COM|PASSionate REVOLT Healing. REVOLUTIONARIES mentioned in, alluded to or complimentary to this post.